You are currently browsing the tag archive for the ‘cookbook review’ tag. I’ve concluded that baking books are just plain hard to write. The measurements are finicky, your readers have different kinds of equipment and ovens running at different temperatures, and any number of small errors in the book production process can doom a recipe to failure. I don’t review very many baking books – maybe 4 a year – and about half of them generally involve some sad little tale of testing gone awry. 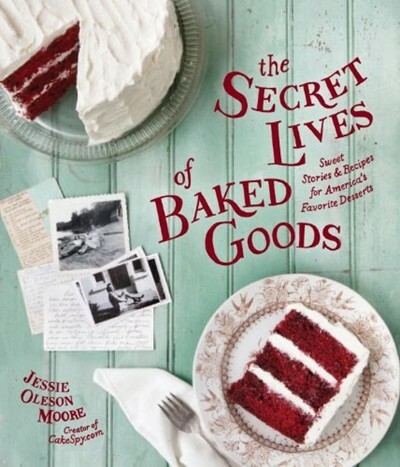 Books like The Fearless Baker, Baked Elements, Dorie Greenspan’s Baking, and Joanne Chang’s Flour I prize all the more because they actually worked (at least in my kitchen). This week’s contender was one of the ones that didn’t, unfortunately. On CookShelf, the cookbook-rating app this week, you’ll find more data points and analysis of The Secret Lives of Baked Goods, as well as new reviews of An Illustrated Guide to Cocktails, The French Market Cookbook, and Fifty Shades of Kale (!). Treat yourself to a copy of the app for cookbook fanatics – it’s available for both iPhone/iPad and Android devices and updated every Wednesday . 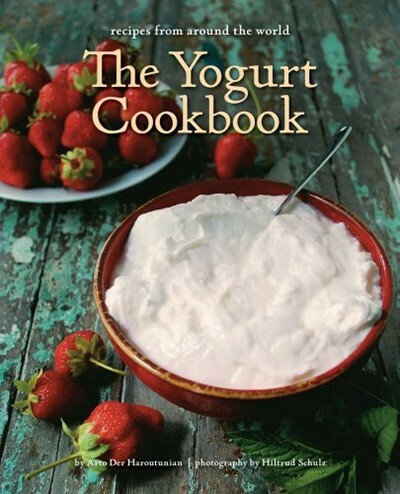 The Yogurt Cookbook is one of those great-sounding ideas you can’t believe hasn’t been done before. In fact, it has – this book is a re-issue (newly photographed and designed). It’s a far-ranging book, trotting across Central Asia and Europe, and there are a lot of good ideas. Is it a keeper? Read on to find out. Also, my 12-year-old son has a very in-character cameo appearance in this week’s story. On CookShelf, the cookbook-rating app this week, I’ve got a story on husband-and-wife cookbooks, as well as many more data points and analysis of The Yogurt Cookbook and all the latest cookbooks. Treat yourself to a copy of the app that’s a zine for cookbook fanatics! It’s available for both iPhone/iPad and Android device and updated every Wednesday . Full of Flavor brings up a classic cooking paradox: Many of us like the idea of improvising more in the kitchen – of changing things up, swapping things out, being creative. And Maria Elia wants to help, with a book that urges you to “Create…like a chef”! But there’s the rub. 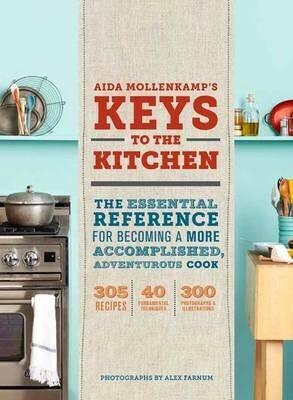 If you really want to go all buckaroo in the kitchen, are you going to turn to a cookbook to tell you how? If you really want your independence, are you going to ask someone to prescribe variations on a roast chicken for you? Hmm. Conundrums aside, it’s a solid cookbook, and it does live up to its title. For many more data points and analysis and recipe links of Full of Flavor – and well over 200 other cookbooks – help yourself to a copy of CookShelf, the cookbook-rating app. It’s available for both iPhone/iPad and Android device. And it’s updated just about every Wednesday with more news about the latest, greatest cookbooks – essential reading for every cookbook lover. With all the hubbub of summer roundup, I didn’t get round to posting my last Boston Globe review, which is of Deborah Madison’s magnum opus. It’s a formidable book, and arranged intelligently, by plant family. Doesn’t that make sense? Onions cook alike, and so do brassicas, just for a start. And just in time for the farmstand / farmers’ market / CSA season, too! 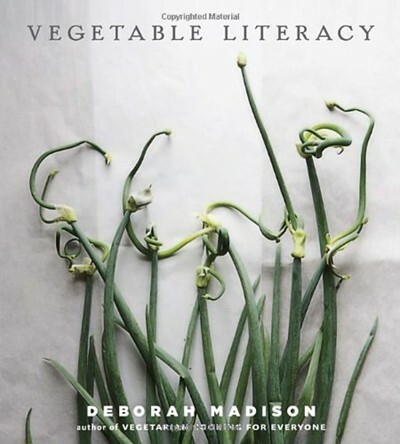 Meanwhile, of course you’re wondering: has “Vegetable Literacy” been loaded onto CookShelf, the cookbook-rating app? Can I read your reviews on my iPhone/iPad or Android device? Why yes, it has! And yes, you can! This Wednesday and just about every Wednesday, CookShelf gets updated with new material, so be sure to accept all updates when they are offered to get the latest cookbook news. When a chef accustomed to working in restaurant kitchens writes a book, there is one hazard. And when a book is published in a US edition after being converted from its metric original, there is another. Orient Express illustrates the perils of both, while still having much to offer the adventurous cook. These are palate-goosing, spine-tingling recipes, and some of them are fast. But the unforthcoming instruction style and erratic measures may have you pulling your hair out before all is said and done. The real question, of course, is: has “Orient Express” been loaded onto CookShelf, the cookbook-rating app? Can I read your reviews on my iPhone/iPad or Android device? Why yes, it has! And yes, you can! This Wednesday and just about every Wednesday, CookShelf gets updated with new material, so be sure to accept all updates when they are offered to get the latest cookbook news. 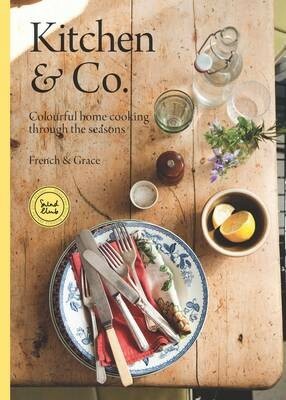 The authors of Kitchen & Co. are British bloggers billing themselves as “French & Grace” (that’s Rosie French and Ellie Grace). They’ve got a beautiful vision of the good life that’s reminiscent of Canal House Cooking on our side of the pond. The recipes are freewheeling, colorful, and full of global borrowings. Headnotes are whimsical and evocative: A dessert for a rosy-shadowed evening, A garden lunch for two, Teatime and the leaves are falling. Execution-wise? They’re sometimes uneven. But it does make a charming gift. Can Fuchsia Dunlop do it again? Land of Plenty and Revolutionary Chinese Cookbook got us used to a certain level of well-glossed, well-described, more-authentic-than-average style of regional Chinese cookbook. Every Grain of Rice isn’t a regional cookbook. It’s an 200+-recipe overview of everyday Chinese cooking, bidding for a place on the weeknight rotation. Does it succeed? 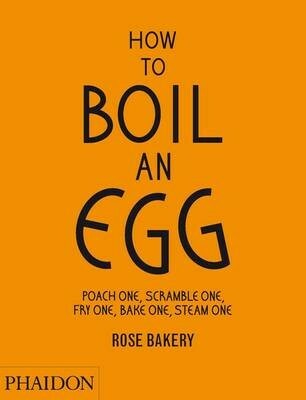 Your first glance at the cover of this book is likely to give you one of two mistaken impressions: 1) it is a beginner cookbook for the starting-from-zero kitchen initiate, or 2) it’s everything you’ll ever need to know about egg cookery. Neither is true. It’s a very stylish, freewheeling, erratic book from a British bakery in Paris (the bakery book is its own whole genre these days), and it will fit neither your preconceptions about British food nor your preconceptions about Parisian food. Anyways, the best I could come up with last year, if memory serves, was a really good baking book, The Fearless Baker (here’s the review). But along comes Keys to the Kitchen, and it’s really quite good. I’m not really sure that people will sit and read through the equipment section to make sure they have the right combination of pots and pans, although I certainly would have. But the recipes are flavorful, well-constructed, reliable, and make none of the compromises many “easy” recipes make in the interests of a shorter ingredient list or not scaring people. Don’t be nervous if the recipe looks a little long, folks! It’s just good explanation, and you’ll be glad it was there when you sit down to your perfectly executed dinner. Every time a Nigella book comes out, women food writers have to do a self-inspection for jealousy and Schadenfreude. Nigella’s success comes from a number of sources – a privileged background, a robust work ethic, a wealthy husband, the willingness to put on what she calls her “circus act” of buxom domesticity, an aptitude for luscious prose stylings that go with the circus act, and yes, genuinely good taste in food. Who are we to say that success is not deserved? 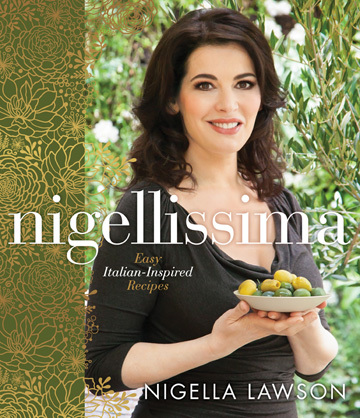 But when a book like Nigellissima comes out, it’s hard not to carp. Sure, the food is quick, basically tasty, and capably serves 2. But with a little care, it could be so much better – and the rest of us would have no cause to nitpick.